Canon Blogger features a handy tutorial titled, Shooting Tethered with Canon Gear, where Jason Anderson explains how to use the EOS Utility when your Canon is connected to the computer. This is a particularly handy technique when working in the studio where you want to control the camera and see the results directly on your Mac or PC. You really can take the "work" out of digital workflow. In my upcoming Santa Fe Workshop, Beginning Workflow with Adobe Lightroom (July 19-25, 2009), we explore the entire Lightroom toolbox then create a workflow that is customized for your needs. Since we're working in the stunning Santa Fe environment, we'll go on location go capture images that you will use while designing your post production approach. 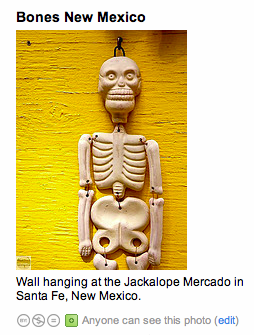 If you've never attended a Santa Fe Workshop before, there are other benefits you might be interested in. First of all, it's a week where you focus only on your photography. No business meetings, household chores, or other daily obligations. Also, the digital lab we work in provides each attendee with his/her workstation with calibrated monitor, powerful computer, software, and printer. During many of the evenings we gather with other photographers for presentations, food, and the exchange of ideas. 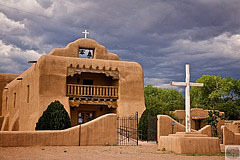 Santa Fe Workshops provide a total experience for passionate photographers. During the week, I'm also going to show how to integrate Photoshop CS4 tools into the Lightroom workflow. Bridge and ACR provide some handy on-the-fly alternatives that give you maximum flexibility when working efficiently with your images. It's a great week. You can register now online, or call call (505) 983-1400, ext. 11 for more information. Among the thousands of photographs posted in the Flickr community, what are the most popular DSLRs, compacts, even cameraphones used to capture them? If you shoot Canon, for example, how do the Rebels stack up against one another? How do the different brands compare? All of this and more can be discovered on the Flickr Camera Finder page. As you drill down, you'll be able to compare basic specs, get Flickr stats, view graphs, and see actual images captured with the devices. 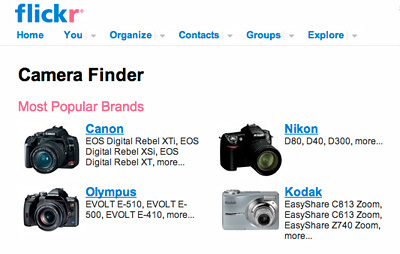 The Camera Finder provides an informative snapshot about the cameras we're using to make all of these great images. If this sounds appealing to you, then you might be interested in my workshop this coming weekend titled, I've Taken Great Photos, Now What?. You'll learn about the coolest photo management applications including Adobe Lightroom, Apple iPhoto, Photoshop CS4, Photoshop Elements, and Apple Aperture. We'll build a workflow tailored specifically for your needs. And by the end of the day, you'll see that managing your images can be as fun as taking them in the first place. The workshop begins at 10 am on Sat. May 9 at Santa Rosa Junior College in Santa Rosa, California. You can sign up for the class online, or call for more information at 707-527-4372. The course fee is $63. "The best camera is the one that's with you," writes Chase Jarvis (hmmm, where I have heard that before!). He takes photos everyday with his iPhone, processes them on the device, then shares online. 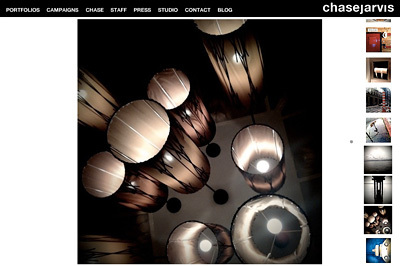 Chase maintains a gallery of his favorites on his site. There is so much good work you can do with these types of devices: iPhone, Nokia, Blackberry, Sony, and on and on. I think mindset has much to do with success. Take a look at Chase's work, and you'll see what I mean. Editor's Note: I had a conversation on Twitter with Kip Beatty about the difficultly of editing HD video from the Canon 5D Mark II in Apple's iMovie '09. Kip said he had researched a solution, and I want to share his findings with our readers. Here's what Kip Beatty wrote. 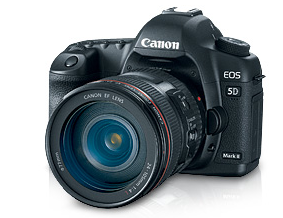 The Canon EOS 5D Mark II shoots stunning 1080p 30 fps video. However, if you're using iMovie '09 to edit your movies, you'll find using anything but a Mac Pro to edit the native .264 files from the camera will bring iMovie to its knees. In fact, Apple recommends using the "Large" (960 x 540) setting when importing movies from the 5D Mark II. Even if you don't encounter the unexpected quits mentioned in the support document, you'll likely encounter a lot of stutters, pauses, and sluggishness. A simple workaround is to convert the .264 files to iMovie's preferred AIC (Apple Intermediate Codec) format using the free MPEG Streamclip. Copy your movie files from your CF card to your computer (you can, if you prefer, convert them directly from the CF card). Open MPEG Streamclip and open the movie you want to convert. From the File menu choose Export to Quicktime... (CMD-E). At the top drop down menu, change the compression to Apple Intermediate Codec and slide the quality slider to 100 percent. You may also wish to open up the Adjustments options and bump brightness, contrast, and saturation just a bit to get an exact match, but be very conservative with any changes to these sliders (I'd suggest running a couple of tests on a small file to get the look you like). Click Make Movie and you're done with MPEG Streamclip. You'll find the resulting file, once imported, plays much more nicely with iMovie, especially on a MacBook Pro or iMac. Unfortunately, you'll also find the resulting file is much larger than the original .264 version. In my tests, it's almost twice as large. This is the main drawback to using AIC. Nonetheless, if iMovie is choking on your native files, it's a worthwhile tradeoff. If you're going to do a lot iMovie editing with AIC converted files from the EOS 5D Mark II, you'll need a lot of storage space. Look at it this way, it's a great excuse to pick up a DroboPro. Since permissions are so easy to change on Flickr, I recommend that you manage them as part of your workflow. This is particularly handy when you upload images from an iPhone, EyeFi card or other mobile device where you don't have a chance to fine-tune the editing before transfer. In these instances, set the permission to "Only You (Private)" during upload. Once you get to a computer, then you can use Flickr's online editing tools to adjust the image the way you want. That most likely includes cropping, exposure, color balance, and sharpening. When the picture is ready to share with the world, then you can change the permission to "Anyone (Public)," and it will be viewable by all. Flickr's photo management tools are very good. And now that we have more ways to capture and upload images, we can use controls such as the Privacy setting to ensure that we have the flexibility we want while maintaining good quality. I'm currently working on an in-depth Flickr Essential Training with Lynda.com. 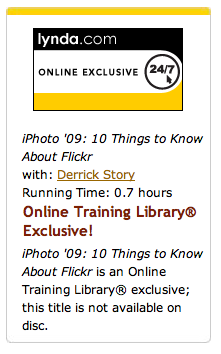 But I have a good training online right now: iPhoto '09: 10 Things to Know About Flickr. 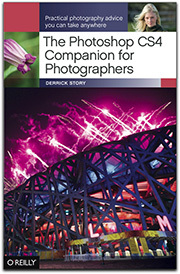 "iPhoto and Flickr are a perfect match for sharing pictures on the web. 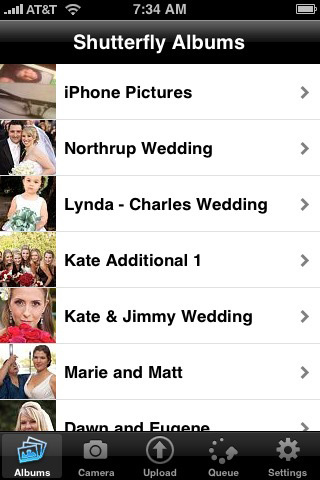 In this training, I explain how these two applications work together to create online albums, known as sets. From the basics, like setting up a free Flickr account, to the more advanced features, like creating an iPhoto slideshow to publish on Flickr, I show features that both beginning and advanced photographers can use to enhance their online collections. 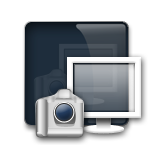 So if you're an iPhoto user, you might want to check this out right now.